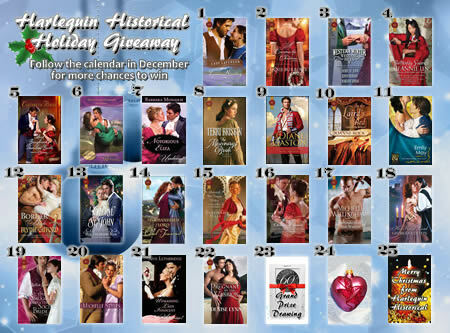 Announcing the Harlequin Historical Author Advent Calendar! One entry per day. All entries will go into the grand prize draw for a 3g kindle to be held on 23 December. The third chapter of His Stand Bride is up. You can read it here. Lots and lots of snow around so the school is closed and both children are home. I have revisions and want to get them done. I am currently glomming Susan Elizabeth Phillips and can thoroughly recommend her. I adored the workshop she gave at the RWA and thought I ought to read her. She is excellent and her work is providing insight. 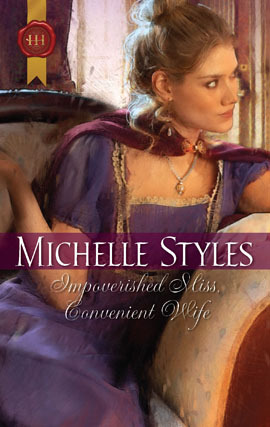 The cover for the US edition of Impoverished Miss, Convenient Wife is now up on eharlequin. It is the same picture as the UK edition. I happen to like it. Happy Thanksgiving to everyone. I have my Christmas carols on and am doing the Thanksgiving dinner for tonight. It is one of the US traditions that I insisted we keep when I moved to the UK. There is always a lot of be thankful for. My health, my family's health, having a roof over our heads and the fact that I get to write stories that I love. I am blessed with my family and friends -- both old and new. Chapter 2 of His Stand In Bride is up. I would be interested to hear what you think. The first stage of my mentor contest is now closed. Any hook paragraphs now submitted will not read or commented on. I will send out little critiques by the end of this week to everyone who entered as well as letting the five people who get their first 3 chapters critiqued know. As I am also working on my revisions, I thank everyone for their patience. Many thanks to all who took the time to enter. Every single one of you has talent and it is how you best showcase that talent which is the important factor. After the success of the A Question Of Impropriety Goodreads giveaway, I am doing another giveaway through Goodreads. This time for The Viking's Captive Princess. Currently thinking about revisions and how I am going to make the changes. Joanna St James asked me nicely about doing her an interview for her blog and I was delighted to accept the challenge. The results are up there now. There is a copy of A Question of Impropriety up for grabs and I'll be stopping to answer questions when I take a break from thinking about the revisions and deciding how I will tackle them. The Roman Undone has a title -- A Perfect Concubine which encapsulates the story very well. It will come out in February 2011. The revisions for my latest one have also hit. My editor does like to push and inspire her authors but I feel really energised by her suggestions. Normal service of this blog will resume AFTER I get the revisions done. Yesterday the UK hardback version of Breaking the Governess's Rules arrived. It is loosely linked to Compromising Miss Milton and the hardback comes out in January. I love the feel of the cover but the costume is wrong. Some day, I will get an Early Victorian cover for an Early Victorian set novel! Louisa has rebuilt her life, after being dishonourably dismissed from her post as governess for allowing Jonathon to seduce her. Now Louisa lives by a rulebook of morals and virtue—the devastating Lord Chesterholm will not ruin her again! I will get an excerpt up for my next newsletter which will go out 1 December. No prizes for guessing what the Reader's giveaway will be! I am blogging today at Tote Bags about writing the Online serial His Stand In Bride and some of the challenges I faced. The first chapter of His Stand In Bride is up now on Eharlequin. A new chapter goes up every week until 3 January. You can acces the whole thing from here. What she didn't know was how her sister's intended, Jason Martell, would take the news. Or how Anne would respond to the force of his presence, his rugged good looks, his less-than-gentlemanly advances. Or to his proposal of marriage. Anyway, I really enjoyed writing it and I am anxious to see how people like it...There is going to be a thread on eharlequin for discussing the story and I will be happy to answer any questions. Giveaway ends November 18, 2010. Hardy completed his Obedience Level 2 training last night, getting a gold envelope with his certificate for his trouble. (He refrained from eating it as he once had done with his discharge papers from the vets) And while he is not perfect (yet) he is much more under control and well on his way towards getting better manners. Anna Bradley who runs Perfect Pawz has been absolutely brilliant with her advice about how to get him to stop pulling so much and how to work with him instead of against him. I really like her training ethos. Lots of treats and praise. Behaviour Modification. She is currently working towards her kennel club accreditation and will become the only trainer in the North East to have it. It was great to see how well all the dogs in the class performed under her guidance. Last night, I suddenly realised that Hardy was not the worst behaved and that ALL the dogs had their unique quirks. Poppy the Boxer who would not recall, Midge who won't sit and stay and Kobie who just wants to play and turn over on his back. Hardy simply likes to pull and refuses to heel. Hardy is brilliant on stay and can do recalls. It is going to take time and working with the walking on diagonals but after one week of trying this, I can already see a difference. Anyway, Perfect Pawz covers the Tynedale, and Newcastle area and is based in Hexham Auction Mart. The classes are small and Anna takes the time to talk to everyone about their dog. The dogs really seem to respond to her. If you are looking for an excellent trainer in this area, do consider contacting Perfect Pawz. I know I am glad I did. And Hardy did enjoy himself (particulary the high value treats of sweet chilli and port sausage) One great tip was to have a variety of treats and move up or down the scale depending on how Hardy was responding. My Roman Undone has finally been scheduled. February 2011. Title to be decided. But hooray! When it comes to Story and rules -- there is one cardinal rule -- The Story Rules All. The Rules don't rule the Story. Get your mind around that and you can see why certain published authors are able to *break* so many cardinal rules. Their story telling talent is such that they are able to hold readers in the palm of their hand and make them turn the page. And when they have finished, the reader wants to read MORE. It is one of the big problems with writing, particularly when you are learning to work with your voice and talent -- how do you showcase your talent. You can write a story that follows all the rules but feels flat and someone else can write something that on the face of it should not work but does and works really well. And the technical answer is that it has a lot to do with how the micro tension is presented and how questions arise in a reader's mind. The reader needs to want to turn the pages. The non technical answer is : A lot of writing is instinctual and therefore impossible to give an exact paint by numbers. It works because it works and the author has made the reader care. Can writing be taught? Or can talent merely be honed? Some of it is about learning the why behind the best practice and understanding how things work but still loving the mystery of the process. A good exmple is a rainbow -- I understand why a rainbow happens and what it is made up of, but I still get a thrill every time I see one. I still appreciate the beauty of it and I look for rainbows whenever I can. I managed to get an eye infection and so have been spending time away from the computer. Golden eye ointment works. However, it does need to be a new tube and you throw it away once the infection clears up. Thankfully I am waiting on my revisions and simply doing the self-imposed ones for the very nice agent I met in Orlando. I do have time. A couple days ago an aspiring author asked me for a few recommendations of good writing books as I had sent back a critique highlighting a few things like Show, don't tell and Resist the Urge to Explain also 1+1 = 1/2. How did I know these things? the aspiring author asked as her critique partners had never really highlighted them before. Short answer is through reading how to books. I divide my how to books in several categories. First there are the writing romance books -- my go to books here are Leslie Wainger Writing Romance for Dummies and Kate Walker's 12 step guide (3rd edition coming out soon!) Do not underestimate how much is actually in this genre and how rusty you can become on the basics! I did and had the serious revisions to prove it. Self Editing for Fiction Writers by Browne and King -- This is a great primer on explaining about things like Show Don't tell, Easy Physical beats, Resisting the Urge to Explain and why 1+1 = 1/2. They also explain why an adverb isn't necessarily your friend. I like knowing the WHY behind the practice. You can know about a rule but if you don't know the theory behind it, you won't why it works when you break it. And the Donald Maass books -- Writing the Break Out Novel plus workbook and The Fire in Fiction. he is brilliant on creating mirco tension and looking for low tension traps. Plus identifying points of change in a scene and really making them standout. I do read other ones but those are my go to library as it were. Above all though it is important to look at the Doughnut (the story) instead of the hole. My newsletter went out yesterday with details of my Hook Paragraph contest...It is ONLY for my newsletter subscribers. My newsletter is free but I do like to reward them. Trenda emailed and asked if this contest was open to published authors. My only stipulation is that people are newsletter subscribers. In the normal course of events, I would expect pubilshed authors to be working with their editors. However, I do understand some people sell to very small press and wish to see if they can improve...I would emphasize - -I am only an author and as it is MY contest, it is MY choice. Loads of things in this business are subjective. I learnt that in the last year when I changed editors and suddenly could understand some of the things I had been doing wrong. It can be the way people put them. The desire to write shows you have talent. How you utilise that talent is up to you. I heard neil Diamond speak on Jools Holland recently and he was asked how anyone becomes a song writer these days . He said -- Same as it always has been -- passion and persistence. Alice Cooper was also on the show. Alice Cooper is still touring. Apparently Halloween is quite big for him. He and his band rehearse 10 hours a day. 2 hours on the theatrics and 8 hours on the music. And he is utterly passionate about the music. He agreed with Neil Diamond -- passion and persistence. With romance wiritng, the same principles apply -- you need to be passionate and persistent. In other words, desire, dedication, determination and discipline. You have to be ready for the Luck. I have sent the full of my Sinai one off to my very lovely editor for her thoughts. I expect revisions as I firmly believe that every manuscript can be made better with an editor's eye. I do really believe in this story and think that once it is done, it is going to be absolutely fab. One thing that was different about this book is that I finished it several thousand words short. By the time I had done the edits, I had add an extra 10k to the story. If I had made that word count in the first place, I would have been cutting furiously. So it is a lesson for me. I actually found this to be true of the Online Serial as well. I finished under the word count and trusted myself to layer in the emotion etc that was in my head and not on the page. Both A Question of Impropriety ( on eharlequin) and The Viking's Captive Princess (on Mills & Boon) are on sale today. You can browse The Viking's Captive Princess here and read the first chapter of A Question of Impropriety here. It is a great chance to see what the current series are all about. For historical there is Ann Lethbridge's award winning Wicked Rake, Defiant Mistress. There is also Michelle Ried's Mia's Scandal which is the first installment of the Balfour Legacy mini series and I super enjoyed. It is so great that they are offering people this opportunity. I am very happy to announce that His Stand In Bride will be the Weekly Online Serial for eharlequin starting 15 November and going through until 3 January. My editor for that has accepted it and I'm thrilled with how it worked out. It is a free read. 1 November is now far closer than I'd thought so it is head down and writing time. The New Voices finalists were announced. It is a strong line up and my fingers are crossed. If you weren't a finalist, it doesn't mean you can't submit the traditional way. Use what you have learnt via the contest and reading other entries. See the pitfalls. Be objective with your work and then go for it. Finish the first draft and submit the first three chapters and synopsis. One of the big questions for a writer is how much detail and which detail do you highlight? What is the function of detail? Detail gives a description and provides facts but more than that it gives insight into the POV's state of mind. Two characters looking at the same thing will notice different details. A character whose mood has changed will notice different details. Details help to ring the changes. Where one character notices the flaking bits of paint and the worn carpet, another sees the soaring majesty of the building. The reasons why each character notices those things is important. If you take a description in a book, and describe that scene from another's POV, what details change? If no details change, why? It can be a clue that you need make sure that your characters are given stronger opinions. Use detail to bring out changes, to highlight and to help make your characters memorable. Take the colour brown -- is it warm melting chocolate or the colour of a muddy puddle. Should beige be banned or is it a fashionable choice? The fact that a character chooses to call light brown camel rather than taupe says something about that character. If the character is only choosing that word because you as a writer have access to a thesaurus, then you are in trouble and your scene doesn't have as much life as it could have. It is the character's reaction to the colour and its associations that are important rather than the actual colour. I would argue that if the characters reactions and emotions are missing, the scene is going to feel a bit flat. Word description and detail is all about choice. What does the character choose to see and why? Why do they feel passionately enough to use those words? How does the word choice influence them? Objects and scenery are neutral until the person describing them or labelling them breathes life into them. With the submission deadline for the first round of the New Voices competition mere hours away, lots of people are earning awards for bravery by actually posting their offerings. For the first time, many are allowing strangers to read their work and it is nerve wracking. It makes you feel physically ill. It does always remain nerve wracking. It is a roller coaster ride, complete with feeling sick and then wonderfully alive. I get it every time I submit to my editor. Most authors do. But also, it is addictive and great fun. There is a lot of excitement when you press the submit button. It is about embarking on a new adventure. So what can you learn from submitting? Even if you get a Form R. First of all, you learn that you don't die. Your family and friends still love you and that you can do it. Once you get the response back, it is all about what you do next. Before I was published, I never finalled in any contest. The one online contest I entered with Kate Allan, we finished dead last. No comments, just voting and there was some suspicion of vote-rigging. The book however was published after we did extensive revisions and became The Lady Soldier. So in the end, I suppose we had the last laugh. Other authors can similar stories. When I was at Orlando, I was struck by the fact that a number of the Golden Heart finalists had finalled in previous years and sometimes had won. There were also people who never finalled who had sold. It all comes down to the editor seeing the magic in your submission. Sometimes, people get so focused on contests that they forget the important thing is the STORY and telling it in the best way possible. You don't want a good contest submission, you want a great story. And for series romance, you want a great story that fits the demands of the line. So what do you do if you don't final in NV? Take a long hard look at your submission. Read the finalists. See if you understand why they were chosen. Do you agree with the judges' assessment? See if there are ways you can improve. Can you add more dialogue? Cut out back story? Make the story more immediate? Make the stakes higher? Decrease the secondaries? increase the emotion? Up the sensual tension? Make the characters more rounded and less cardboard cut out? There is no right or wrong answer. Go with your gut and see. Do it and then submit the traditional route. If you believed in your story enough to submit to NV, you should believe in your story enough to submit using the traditional route.AFTER you have taken another look at it. Craft helps improve Story Ideas. Maybe though, you relise that in order to do the story justice, you need more craft. Use your new found knowledge to craft another story and submit that. I wrote 7 full length manuscripts before I sold. Writing is never wasted. And it does become addictive if you want to be a career novelist rather than penning a single story. Right off to finish my partial and send it off to my editor for her eagle eyes. And I am waiting to hear on my Online Read. Does it work? Will it need revisions? I could be sick... but I trust my ability to use craft to fashion a great story. Or maybe I'm delusional? Finding a new translation of a book is always a cause for celebration. 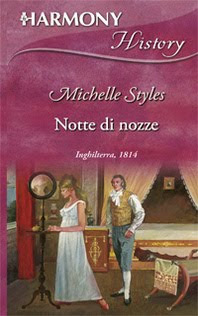 Impoverished Miss, Convenient Wife is out in Italian Notte di Nozze. It hits the Italian shops in October. You can purchase it here. Simon Clare è un ricco possidente che conduce un'esistenza solitaria. Dopo un matrimonio infelice e con un figlio ammalato cui badare, l'ultima cosa di cui ha bisogno è che una donna, per giunta aristocratica, si intrometta nella sua vita. Non importa quanto sensuale sia la sua figura e quanto voluttuose le sue labbra. Phoebe Benedict, però, non si lascia scoraggiare dai modi scostanti di Mr. Clare. Sa bene, infatti, che dietro quella facciata burbera si nasconde un uomo segnato dal dolore, alla disperata ricerca di qualcuno che lo ami davvero. Mills & Boon and Visit Scotland have teamed up to offer a break to the Scottish borders. You can read more about it here. It is very simple to enter and the scenary is sure to inspire. Good luck!!! My daughter is back home. Tired but pleased to be home. And I am glad that it turned out to be better than first feared. Have net book, can work anywhere but my daughter understandably wanted attention as she improved. Given the immense bureaucracy of the NHS, patients do need advocates. Because of administrative procedure, the request for the ultra sound was initially lost/put to one side and it was only because I persuaded the junior doctor to personally ask the ultra sound person to add her to the end of the list that my daughter received the scan and was allowed home on Friday evening. Had I been content to wait as the head nurse of the ward she was on suggested that I should be, she would have had to stay over the weekend and would have blocking a bed that someone who really needed to be in hospital could have used. I like to think that some unknown person's life was saved because of my insistence. A letter of complaint will be going to the hospital. Non invasive diagnostic tests which can determine if a patient needs to have an urgent operation or can go home should be done as soon as possible and preferably BEFORE the patient is forced to endure an ambulance ride of over an hour and spend 36 hours in a busy hospital ward. And giving such tests early saves the NHS money! I did a workshop to a small select group in Haltwhistle yesterday. It was a great deal of fun. I met a lady who will be entering the NV competition. She was a true reader of series romance. Her favourite passion is Blaze and my fingers are firmly crossed for her. I turned in my short story yesterday. My lovely editor as a favour read it and had a few tweaks. It goes to the Online Read Editor so she may notice different things. Editors are like that! But I am super excited about it and can't wait to see what she says and ultimately what readers think! Anyway, my editor has declared that she is going to hold me to that level of focus and intensity now that she knows I can do it! Oh help! It is a challenge...challenges are good. I learnt a lot from writing it, including you probably need less set up than you think and to really have the focus firmly on the two protagonists. Part of the problem with To Marry a Matchmaker, particularly in the early drafts was that focus wasn't there. My new contract arrived and it was the first time I had a look at the New Look contract. It is far simpler to understand with a term sheet that spells everything out that I agreed with my editor for each book. The standard part of the contract also is there and I spent part of the evening wrapped in legalise. The biggest change is that I don't have to fill out forms any more to put my covers and excerpts up. From this contract onwards, they are included. I do have to put the copyright notices up as cover art as well as my words are copyrighted. Many instructions in bee-keeping start with first find your queen. This can be far more difficult than it sounds, even when the bloody queen is marked with a huge blob on her back. To determining if a scene is flat, you need to first find your turning point and more important to make sure that turning is active rather than passive. Like the beekeeping instruction of first find your queen, it is more difficult in practice than it sounds. Once you know where the turning point is, who causes, and what the change actually is, you can go about highlighting it and bringing it out more in manuscript. Either by higlighting the change. SHOWING the difference or heightening that moment of change. If a scene shows a definite change and the change fits in with the growth arc of the character, then the scene is not flat and it probably has earnt its place. Scenes need to move the story forward in some way. They can only do that if the POV character changes in some fashion. Even scenes which essentially exist to impart info are about change. How was the character feeling before they had this piece of news v how were they feeling afterwards? If nothing changes and the scene is merely recounting, see if you can cut it. Or alternatively see if you can heighten the feeling of change. As with everything in writing, it is much easier to say than do. But if it was simple, writing wouldn't be as much fun! Where to start a story? It is a problem that all authors grapple with? Do you start with the inciting incident or do you start with the ordinary world that is about to change? For a romance -- the inciting incident is the MEET. This is the thing that starts the spine of the story -- namely the growth of the emotional relationship between the hero and heroine. Without them meeting and interacting, the relationship can't change and grow. And the MEET doesn't mean necessarily the first time in their life that the main protagonists meet but rather that encoutner that changes their life. Everything that happens before is called the set up or sometimes the bridging conflict. Bridging conflict is also a subplot. It is what needs to happen BEFORE the meet so the author doesn't spend time explaining. It helps with dealing with certain aspects of back story as the author can SHOW and not TELL. (Back story, unless done as a flashback, is invariably telling or narrative. The reason for using the term bridging conflict is that it provides the bridge into the story for the reader. In series romance, there is not much of it. For one very practical reason -- the author doesn't have many words and the focus must be on the main spine of the story. So the meet or some portion of the meet should definitely take place within the first chapter. With single title, the author has more time. I should point out that historicals with their longer length do have a place for subplots but that those subplots MUST influence the main story and ultimately directly influence the relationship. One way of determining where to start is to start with the MEET. Does it make sense? Is the reader immediately drawn into the characters' predicament. Why or why not? Why are they in conflict? Why is it a confrontation? Is it immediately understandable or will the author have to provide table dusting backstory/explanation? If it doesn't make sense, what needs to happen before the actual MEET? Are there any opportunities for good narrative action that you have missed? Can you open with a bang? You have precisely 6 seconds or thereabouts to hook the reader. How are you going to create questions? How are you going to have one character literally or figuratively fighting for their lives? Or fighting for something that they passionately believe in? What is the POV's character's stakes and why is the reader going to immediately care about the character? How can you build the anticipation of the first meet? Have you let a great opportunity for narrative action that will draw the reader into the story go to waste if you start with the meet? Why is she going to turn the page? Why won't she be able to put that book down? For example, when Kate Allan and I wrote The Lady Soldier, we had to add an entire new first chapter. Originally the book started with the heroine Jem having made it through the battle meeting the hero after she had been promoted from the ranks. John Hale pointed out that the battle actually represented a chance for great narrative action as it SHOWED her bravery and her fighting for her life. Never let the opportunity for good narrative action go to waste he advised. That motto has been engraved on my mind ever since. Another case in point are my Viking books. None start with the hero or heroine meeting. Instead they all start with a battle. The meet takes place in the aftermath of the battle. During the battle, either the hero or heroine or both lives are put in danger and it is this danger which hopefully will have the reader turning the pages until the couple meet and are forced into close proximity with each other. Compromising Miss Milton starts with the hero being attacked. Originally I started with the heroine finding his body but decided that it was far better to start with action. Towards the end of chapter one, the heroine fishes him out of the water and saves his life. An example from a recent contemporary is Kat's Pride by Sharon Kenderick (Kat and Dare Devil Spaniard in the US). The first chapter is devoted to Kat arriving on board Carlos Guerrero's luxury yacht and it slowly dawning on her that she is there as a hired help, rather than as an honoured guest and what is worse that her new *employer* is the man she most wants to avoid in the world. The couple meets in the last two paragraphs of chapter one. With the short story I'm writing, the setup has to be almost non existent and the romance does have to start immediately. 10k is not very long. The same is true for an Undone. In conclusion, think about how you are going to provide a compelling bridge for the reader to cross into the story's world. What must happen? What does the reader need to know? It is harder than you might think. Figuring out where the Meet happens and why is a good place to start. I read a few of the New Voices entries and I want to highlight something. The reader wants the story to be happening now. The writer might need to know the set up, but does the reader? Back story kills the movement of a story and deflates tension. I love the Donald Maass exercise which says highlight all the back story in the first three chapters and move it to chapter 15, certainly beyond the halfway point. Reread the first three chapters, what does the reader need to know to make sense of the story? What must be there? Put in as little as possible. You want hints. You want the characters to have secrets. You want the characters to be involved in the NOW. Save the back story for the confession time. Allow the characters to have secrets and to have something to confess. When the reader is emotionally invested in the story, then the explanation will be far more heart rendering. Keep the Back story a minimum. The reader needs less than you think. And yes I have suffered from this before! This is also directed at me as I write this short story. 10k is not long and every word has to count...and other things are more than detailed explanations/set up. As part of the New Voices competition and the reopening of Haltwhistle Library celebrations, I'm giving a workshop on creating a Page Turning Read. 10:30 -11:30 am Saturday 18 September. I believe it is free. There are 25 places. You can telephone the library to find out more. Hopefully I won't be talking to an empty room! I'm working away on the Online Read and it is challenging but tremendous fun. You have to create a serial and realise that readers might read the last chapter before they read the first one. Each chapter needs to be about the same length and there isn't much room for waffle! Also it needs to be formatted in a specific fashion, but I will worry about that after the story is finished. Christina asked me to draw a winner from my blog post -- Morton S Gray. So if you can contact me via my website Morton, and give me your postal address, I will get the four books sent out to you! Christina's party is on going until the 7 September and lots of other books are up for grabs! One recent discovery is that Donald Mass does a monthly column on Writer UnBoxed where he discusses craft and various aspects of it. Some of his posts relate back to his books and some are musings and outgrowths from his current reading. All are interesting and thought provoking. Currently I'm thinking about character and the points he makes in Fire in Fiction about protagonists and heroes are important. Also the combining of the two exercises about thinking about the character's strengths and hero's flaws and making sure they are on the page is a good one. I'm re-reading craft books etc as my Online Read is only 10k and a very small canvas but I want it to punch above its weight as it were. To help Christina Phillips celebrate the publication of Forbidden, her debut Berkeley sensation, I'm offering one lucky commentator on her blog a signed set of my Roman books. So that's The Gladiator Honour, A Noble Captive, Sold & Seduced and The Roman's Virgin Mistress up for grabs. She also has a ton of other great prizes and her book looks excellent. Why not go and comment? In my own news: my editor called late last night and I've had to drop everything to work on a Special Project that is due on the 24th. It should be fun but blog service and twitter might be a bit sporadic because of it! After doing my workshop at Knaresborough yesterday, I thought I'd post my top tips for writing a M&B series romance. 1. Know which line you are targeting -- imagine yourself writing 40 books in a line, which one would be your first choice? What is your dream line to write for? Go for it! realisation of love, and finally emotional intimacy -- the payoff. Make sure your ms has these things on the page and not in your head. 3. If the first meeting of the characters (aka the start of the romance) is not in the first scene, why not? What happens if you move it to the first scene? First meeting does not necessarily mean the first time the characters meet in their lives, but rather the first time they meet in the book. It is a vital part of the story. How does their lives change? Do not be tempted to write yourself in. Readers want the story to begin. 4. Your characters should be proactive rather than reactive. They make active choices and have to live with the consequences. 5. Think about what you admire in your heroes -- make sure your characters reflect those characteristics. 6. Make sure there is page turning tension on every page. Give your reader reasons to turn the pages and keep her within the story. Look for flat scenes and low tension traps. Rewrite. 7. Know about emotional hooks such as Stranded with a Stranger, Marriage of Convenience, Bad Boy v Librarian, Office Romance, Cowboy v City Girl etc. How are you going to make that story your own? Make sure you know the hooks in your story. 8. Write in your voice. Tell the story your own way. You are unique. 9. Create passionate characters. Too often authors are afraid of creating characters with strong opinions or beliefs but passionate characters are the ones the readers remember. Use little details to show what they believe in. What do they hate? What would they risk their life to save? Why? How can you show this? The hero and heroine are often the last characters to be well rounded. Think about what makes them unique. Think about the words they use and why. How does their background influence their vocabulary. 10. Be persistent. Learn how to harness your talent. Finish the book. Take a risk and enter the competition, you might surprise yourself. Nothing is ever wasted. And finally the lovely librarian made some gorgeous cupcakes with pink rosebuds. They served pink fizz with it. It really helped to make the workshop special. I was so pleased that the workshop was well attended and that people seemed to enjoy themselves. The first name out of the hat was Joanne Cleary. The answer was the windows! The Spanish version also used the wrong picture and you can see why my senior editor was apologetic. It is a very lovely rose garden...but somehow I doubt Ivar and Thyre would have seen it. My sr editor knows that the readers of Historical do notice things like that and it does bother her. It is one of the reasons why she is such an excellent senior editor. The feel of the cover is wonderful (mostly I notice the couple, philistine that I am!) and it does capture the feel of the book. And I do like the new M&B look. I saw the new Historicals out in Tescos yesterday and they were screaming Buy me! Lovely jewel like covers. 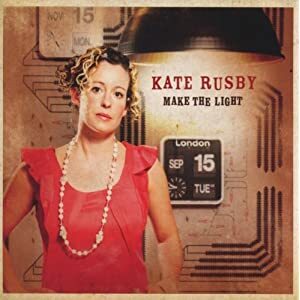 Today is my workshop in Knaresborough for New Voices. I really hope it goes well and that the people who go enjoy it. My editor was in touch yesterday. She has okayed my ideas for the second book which is exciting and is looking forward to seeing my partial of the first book in the new contract. I have promised it for next week. It will get there. My editor is lovely and I do like working with her.